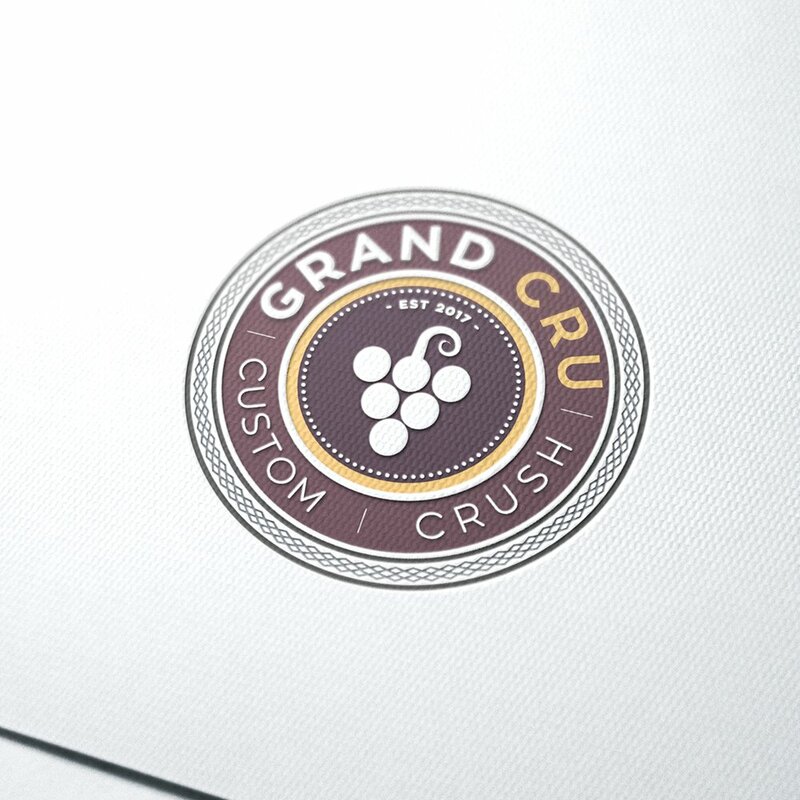 Grand Cru Custom Crush is a Co-Op wine production business founded by Robert and Erin Morris and Todd and Erin Gottula that will initially produce approximately 12,000 cases of wine per year and increasing to roughly 25,000 cases in 2018. Grand Cru is a major step ahead of all other crush facilities and includes a large variety of small tanks, the best crush equipment, perfectly sized barrel rooms that work well with our target client production, and last but not least the focus on supporting hospitality and customer interaction to help our clients build their DTC business. 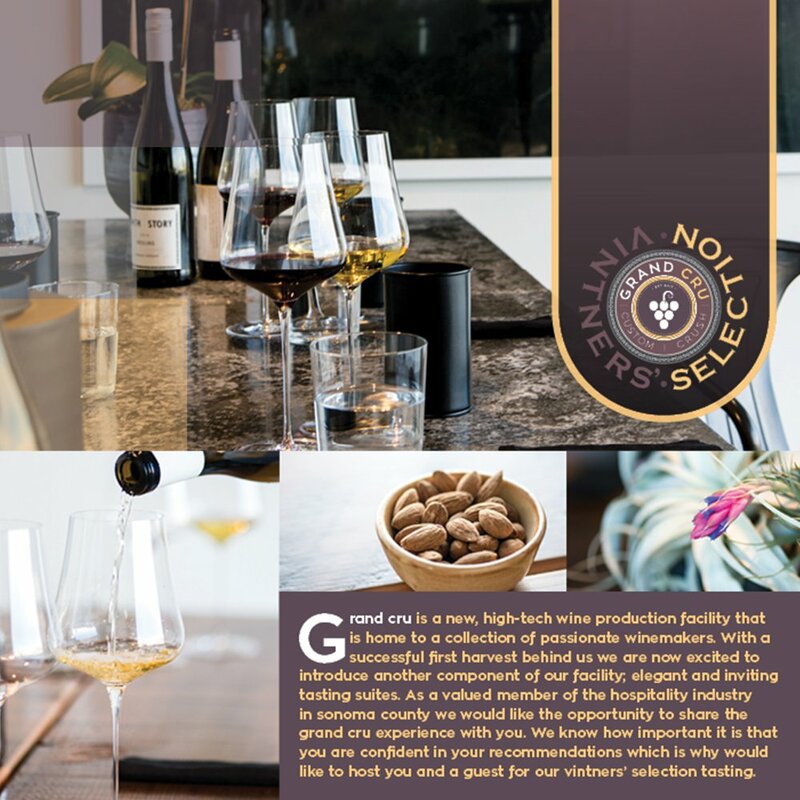 With the right mix of member wineries, everyone should feel as if they’re truly in their “own” facility and the place will feel very much like home to them. 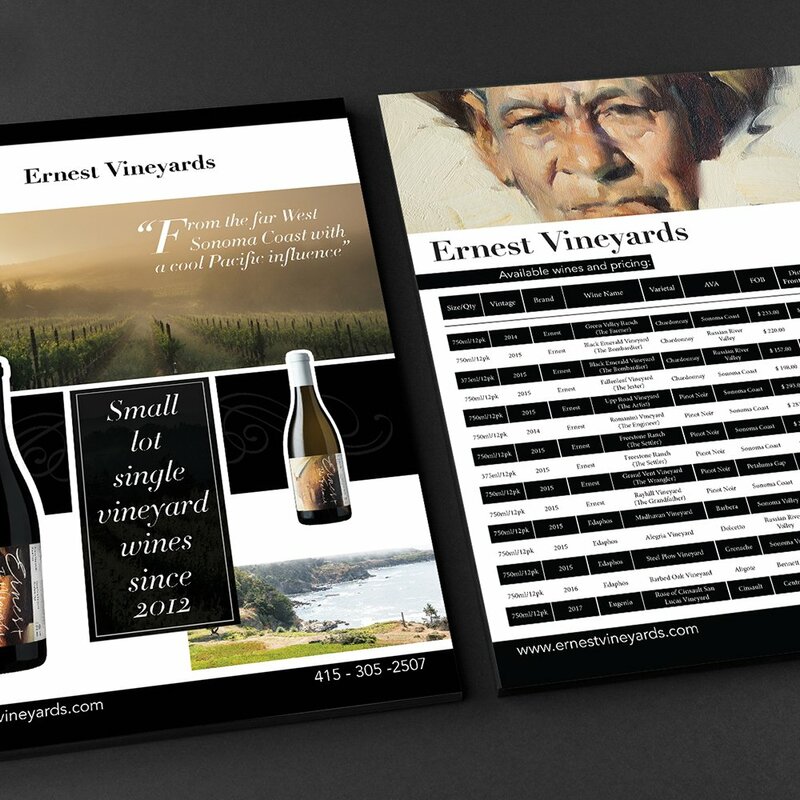 Designing their brand was exciting and a privilege. The team are in their own rights visionaries and contributed handsomely to their brand archetype which is a distinguished take on their industry through a modern approach to what would otherwise be an ancient trade.